Available for all testing needs: Parents, Businesses, Courts, etc. Drugs of abuse patch uses sweat as the specimen source. It provides an alternative to urine collection and offers a number of advantages. 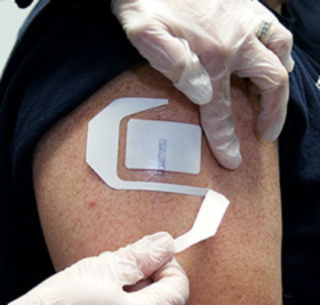 Because the sweat patch is worn on the skin for up to 10 days or longer, it not only acts as a deterrent to continued drug use, but also increases the window of detection to include any period when it is worn.